More conversions to Sunnism (in Ahwaz) – The impotent Ayatullats see their last chance by forcing people into Shia rituals! Article taken from sunniprisonersiran.com. We have only bolded and underlinded some parts in this post. Please note that this is not some isolated case. Conversion to Sunni Islam is increasingly common among Ahwazi Arabs and lately even among ethnic Persians from major citiies such as Tehran, Shiraz, Isfahan etc. 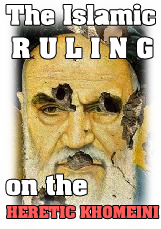 In this shocking court indictment you can read first-hand how the Iranian authorities attempt to criminalize Sunni religious activities such as holding Qur’an study meetings and performing congregational prayers. Bizarrely, even celebrating Eid “at the same time that it was announced in Saudi Arabia” was mentioned by the court as ‘evidence’ that the defendants had engaged in “propaganda” against the state. The court’s blatant discrimination against the defendants’ Sunni beliefs was further illustrated by its decision to sentence the men to obligatory participation in Shia religious rituals. Also note the court’s use of phrases such as ‘Wahhabi’ and ‘Salafi’, terms that are commonly used in a derogatory manner by the Iranian authorities in reference to practicing Sunni Muslims. 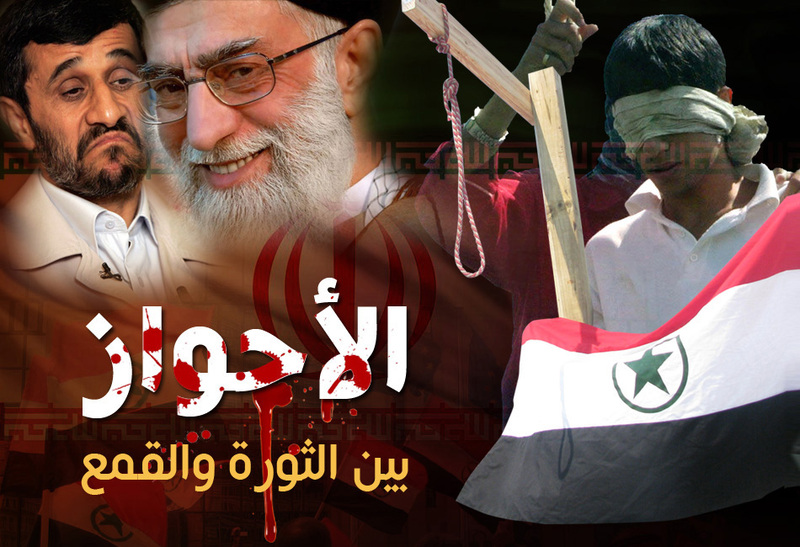 The men, who had left Shi’ism and converted to Sunni Islam, were detained and transferred to Karoon Prison in Ahwaz after their sentences were confirmed by the Court of Appeals on 15 May 2014. In a worrying move, the court’s indictment appeared to criminalize the men’s legitimate religious activities and suggested that the ‘real purpose’ of their activities was to commit ‘propaganda’. The Iranian authorities routinely use terms such as ‘the Wahhabi sect’ and ‘Salafism’ in a derogatory manner in reference to practicing Sunni Muslims, in an attempt to influence public opinion against them. The court also cited the discovery of books and leaflets about Sunni Islam, which it claimed “contained educational materials about the Wahabi sect”, in an attempt to justify their imprisonment. The four men, Haider Sayahi, Hamed Sayahi, Jafar Sayahi and Tofiq Magtai Zadeh, were arrested last year along with 16 other Sunni converts. There has been no news about the condition of ten Sunni men who are being held at an unknown location since their arrest a month ago in the cities of Bukan and Mahabad, West Azerbaijan province of Iran. The men have not been allowed to contact their family, and there is no news about their charges or location. According to reports, the families of the detainees have visited the offices of the Ministry of Intelligence in Bukan and Mahabad a number of times, in an attempt to find out news about the men. In a concerning move, officials informed the families in a recent visit that the men had been arrested due to celebrating Eid on the same day that it was marked in Sunni Arab countries, instead of celebrating on the same day that it was marked in the Shia-ruled Iran. The families’ agonizing wait for news about their loved ones looks set to continue, after receiving contradictory information about their location. The families were first informed that the detainees had been transferred to Tehran, before being told that they had been returned to Urumiah. In a visit to the Ministry of Intelligence around two weeks ago, the families were told that the men would be released ‘in a few days’. That, however, has proven to be false. Abdol Rahim Chana, Soran Fatahi and Abdol Hadi Azrem were arrested on 18 April 2014. Masoud Javadi, Namegh Doldol, Mohammad Rasoolizadeh, Mohammad Mohammadi and Ibrahim Rasooli were arrested on 19 April 2014. Jafar Ghafoori and Ibrahim Ghadri Far were arrested on 22 April 2014. All ten men were active in practicing Sunni Islam.